The Atlantic Ocean, the real sailors, the real ones, all know it! It is one of the five great oceans of the Earth. An area of ​​106,000,000 km² makes it the second largest by the surface, behind the Pacific Ocean. Formed 180 million years ago, it was the starting point of all European explorations. This ocean is located between the American continent and Afro-Eurasia (Europe-Asia-Africa) and holds many seas bordering or adjacent (Mediterranean or Gulf of Mexico for example). Soak up the information from our guide to get an idea of ​​the culture, climate, and major attractions before booking your stay. 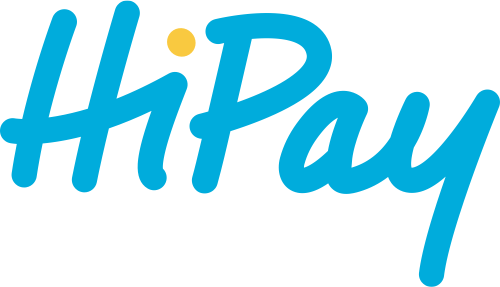 Our guide will help you decide which destination is the ideal holiday for a successful holiday. 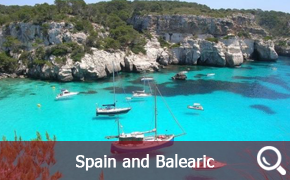 In this section, you will discover the most exotic countries of Atlantic Europe. 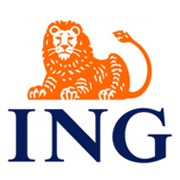 These sections will inform you about the costs of living, but also practical information. Please contact our advisors who will help you find the best boat that will suit your favorite destination. But what to choose? The ocean is vast, the Irish plains are the gateway to it, the crossing of Scotland already feels whiskey, Britain North and South take you with the seagulls, to Portugal, home of Maritima and so much Others ... Sailors say you have to break habits! Would you be able? Maritima proposes several key destinations in the Atlantic Ocean: Azores, France, Canaries, Cape Verde, Spain, Ireland, Madeira and Portugal. The Atlantic Ocean, the true sailors, the real ones, all know it! It is one of the five great oceans of the Earth. An area of ​​106,000,000 km² makes it the second largest by the surface, behind the Pacific Ocean. Formed 180 million years ago, it was the starting point of all European explorations. This ocean is located between the American continent and Afro-Eurasia (Europe-Asia-Africa) and holds many seas bordering or adjacent (Mediterranean or Gulf of Mexico for example). Clic on the area of your choice below in order to get more informations on your future cruise in Atlantic Ocean ! 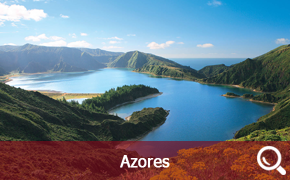 The Azores and its archipelago composed of nine islands still remains today unknown. And yet, this destination has everything from paradise for hiking and nature lovers. On each island you can observe spectacular geological phenomena due to the volcanic origin of the archipelago. 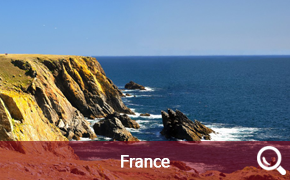 Discover the wealth offered by the French Atlantic Coast on board a sailboat or a motorboat. The Atlantic coast extends nearly 1500 kilometers between Hendaye and Brest. Sandy beaches, craters and alpine forests, lava fields and deserts. Seven islands that count this beautiful archipelago troubling by its different landscapes. 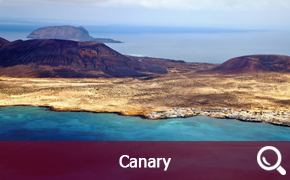 Your boat rental in the Canary Islands will be truly exotic, the endless beaches of Fuerteventura, the dunes and the colonial charm of Las Palmas Gran Canaria, the orchards and dragon trees of Tenerife. 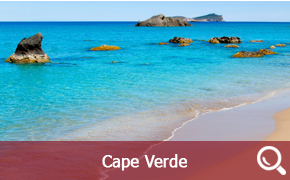 Located 500 km further south of the Canaries, the archipelago of the islands of Cape Verde is nothing comparable. Composed of ten islands off the coast of Senegal, the archipelago is renowned for its authenticity, music and warmth of life. Each of the islands is atypical, but they have one thing in common: beaches with turquoise waters, volcanic landscapes and stony and arid stretches. The Kingdom of Spain occupies four fifths of the Iberian peninsula and offers a great geographical and cultural variety to the tourists. 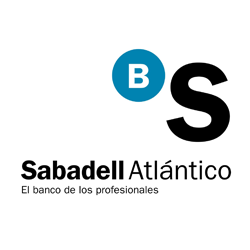 The coastal resorts on the southern and northeast Mediterranean coasts continue to attract sun enthusiasts, but more and more tourists are discovering the wonders of a cruise in the heart of the Spanish archipelago. 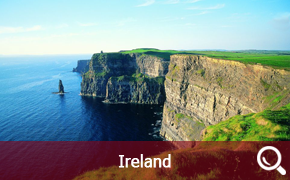 Sail in Ireland and enjoy a temperate climate where the winters are rather cold and the summers sweet. We have marinas from Kinsale or Dingle. Do not forget one thing: the west wind often sweeps the coast, which can change the weather very quickly! 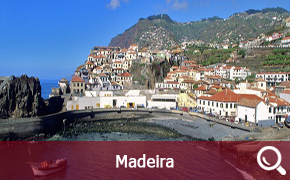 Renting a boat in Madeira will allow you to visit this magnificent island rich in history do not forget to make a stopover during your cruise in Ribeira which is very famous for its large square of black sand. 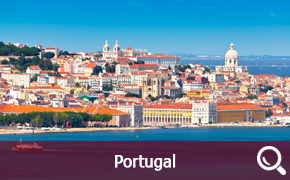 With its wide façade towards the Atlantic, Portugal has always been a people with a strong maritime tradition. Starting point for the discovery of the Americas, you will enjoy your cruise and discover the magnificent coastline of the country.